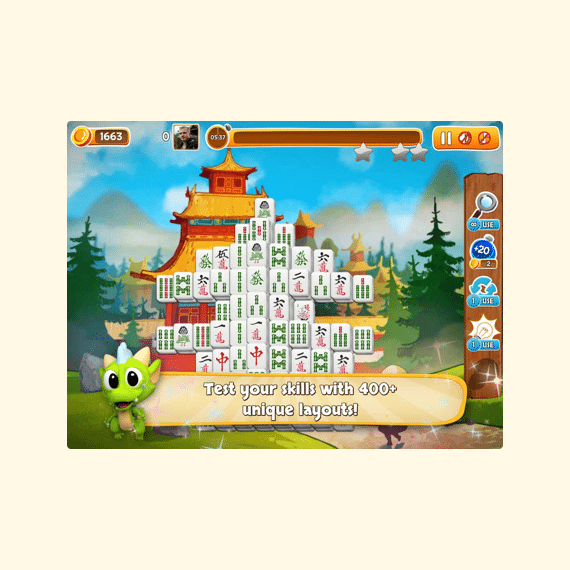 We worked with Hypester Games to build the biggest Mahjong game on Facebook. 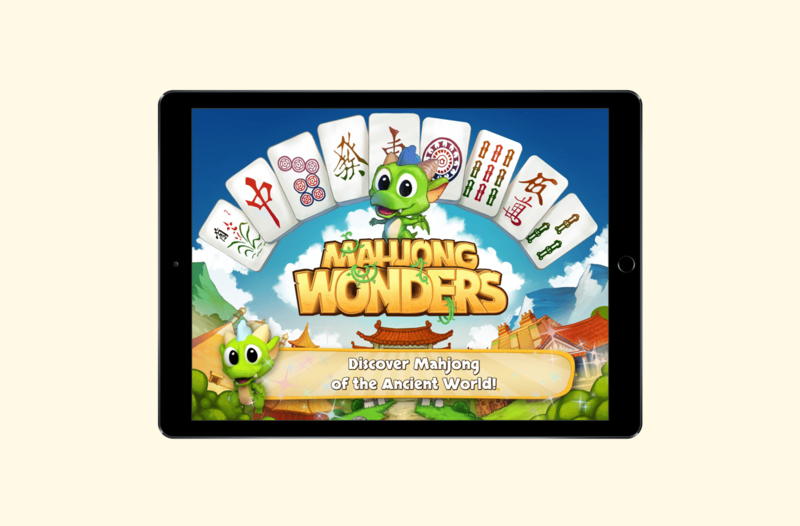 Mahjong Wonders boasts 1500+ custom made levels and more than 40 beautiful ancient civilizations. Players battle for prizes in Weekly Tournaments and Challenges. 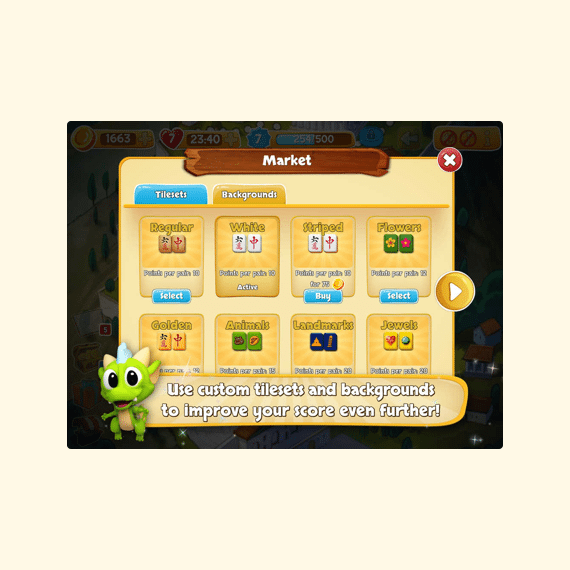 Complete with custom tilesets and backgrounds, boosters and achievement system, the game keeps players entertained for hours on end. 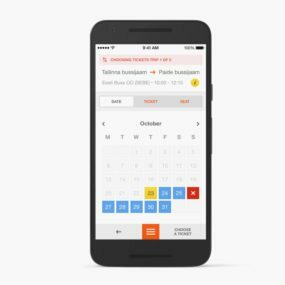 – Up to 350-tile layouts! – New levels every month! Start your adventure now! Facebook & Appstore.